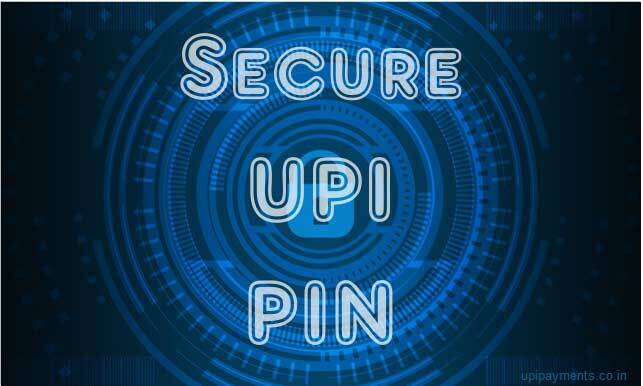 Your UPI PIN Should be safe and secure so that no one can misuse it. As your mobile phone can go into the hands of other people. In that case, it is the UPI PIN which protects your account balance. Therefore your UPI PIN should be strong so that no one can hack it. In this post, I would tell you some tricks to set a strong UPI PIN. I would also tell you the easy way of remembering the Strong PIN. These methods are equally useful to set the ATM PIN. Don’t Write your PIN anywhere. I agree that it is hard to remember so many numbers. Still, you should avoid to write it. You should hide your entry. People may be peeking while you enter the PIN. If you suspect that your secret code is revealed, Reset your UPI PIN as soon as possible. Do not use the important number of your life as a PIN. Often people make it using their date of birth, mobile number and address. A hacker can easily guess such numbers. If possible, opt for the longer UPI PIN. Some banks give you the option of 6 digits. If there is an option, go for that. It is harder to trace 6 digit number. You can use password managers to keep multiple PIN secure in one place. But the password for this application should be very difficult. You should not create an obvious and simple PIN But it should be easily memorable. To deal with this situation, you can adopt the ‘PIN from a Word’ method. Think of a word which you can easily remember. Now write that word using a feature phone. Pay attention to the keys used for writing that word. Note down the digits of the keys which were pressed. However, this method could be also challenged by the brute force attack. The hackers could use the dictionary words to find out the PIN. But, UPI system locks you down after the 3 wrong PINs. Hence, hacking would not be possible. Also, instead of using the dictionary word, you can use any acronym word for getting the secure number. You may have hundreds of contacts in your phone. Among these contacts, you can easily hide your UPI PIN. You can save your number as a contact of someone. It is only you who knows that the mobile number of that fictitious person is your UPI PIN. For Example, if your PIN is 8534, you can save it as 8975658534 under the name of a fictitious person. In this method you are not required to remember the number, rather you have to remember the contact. Note, if you are using this method, it is not advisable to open that contact every time you use the UPI PIN. Someone can find out the mystery by observing your activities. If you are visiting an ATM and can’t remember the ATM PIN, it is better to check it before. Making UPI PIN from your important dates is complete No-No. But you can derive a new number by using those dates. You can reverse those numbers. You can mix and match important numbers of your life. for example you can use birth date and last 2 digits of your car number. Or you can take the second digit from the date of births of your family members. These are the few examples, you can get many new numbers by using this method. You can also make your simple UPI PIN into a complex one by using the mathematics. You can add 2 simple PIN to make a new difficult one. You can add a number to each digit of your UPI PIN. In this method, you are free to use any mathematical formula. You can get numerous UPI PIN from one number by using different formulas. Suppose your simple UPI PIN is 1234. You can make it complex adding 3 to each digit. It would be 4567. It still seems simple but you can get a complex one. For example, you can multiply that number by 5. The result would be 6170. The new UPI PIN would be quite complex. In this post, I have told you the four methods of setting a secure UPI PIN. You must use these methods whether you are using Paytm, Phonepe, Google Pay or BHIM app. It can be any UPI app but the money would go from your account and It does not come easily.